The need for a solid cyber security strategy has been discussed and debated for almost a half a century now, and yet the basic worm-type attacks first documented back in 1972 are still with us today. Why? Because even the most basic measures to protect control systems from these types of attacks are still not systematically employed. Maintaining a firm grip on blower output within digesters at wastewater treatment plants is the key to stable dissolved oxygen levels that support an optimal biological cycle. However, the most common type of device used to measure aeration in the activated sludge process — thermal dispersion flow meters — is not always the best fit. The good news is that wastewater plant operators have multiple alternatives. With virtually no local water sources available for use, the City of San Diego relies on water from the Metropolitan Water District, which imports its water from the Colorado River and the California State Water Project. The two massive water projects bring water from other watersheds and regions hundreds of miles to the north and east. Cooling towers and boilers consume the most fresh water in the industry, with industrial process waters carrying the balance. Power plants and refineries use more water volume for the cooling process than any other area of the facility. Mining and food and beverage industries consume higher volumes for their processes. Clean water may come from a range of sources, including clarified surface waters, groundwater or properly treated wastewater (reuse) sources. The City of Rushville, Indiana had to remedy a consent order filed in 2007 for its untreated combined sewer overflow (CSO) discharges that were polluting the Flatrock River, a violation of the Clean Water Act. The city originally planned to install a 1 MGD stormwater storage tank, but was approached by Aqua-Aerobic representatives with a pilot test proposal utilizing a new technology. Most distribution system water-quality problems can relate back to microorganisms growing as biofilms in the pipes. These biofilms can prompt chlorine residual degradation, corrosion, nitrification, THM formation, red or black water, and taste and odor problems as well as other issues. An effective microbiological control strategy combines the appropriate testing technologies and their use at optimal intervals. A lack of real-time monitoring capabilities for treated water once it leaves the plant has many utilities scrambling to manage nitrification, which can appear abruptly and then be difficult to contain. Fortunately, advanced testing tools are available so water plant operators can take a proactive approach to the hazardous condition in their distribution systems. Aerzen Canada is in a growth and expansion mode. The company celebrated the opening of a brand new, 26,000 square foot building with office space and a production facility. Lead is one of the most pressing challenges communities face in protecting public health in the face of aging water infrastructure. Clear and without taste or odor when dissolved, lead in drinking water poses major health risks, especially for growing families. Ingestion by small children can cause permanent brain damage, resulting in lower intelligence and medical problems for the rest of their lives. It has been said that the unseen and untreated can break down any system — this phrase could not be more accurate than in the world of wastewater treatment when considering the infiltration of grit into a system. Infiltration happens in the collection system, whether it’s from living on the coast, aging infrastructure or just plain old build up over time. For many applications, water should be free — or nearly free — of organic compounds. In drinking water, the impact is optimal taste, appearance, and safety. While the problem of organics finding their way into source water continues to grow, newer monitoring technology is making it easier for water treatment plants to rapidly detect the substances and apply the appropriate fix. In an effort to promote the importance and benefits of tap water, the Philadelphia Water Department will pay local residents to serve as ambassadors. Source water monitoring is commonly viewed as a sophisticated and expensive task requiring extensive labor and high-tech equipment. Budget-minded municipal water authorities therefore tend to see it as unnecessary unless there’s a significant, imminent threat to source water quality. However, there are low-cost — in many cases, no-cost — methods to monitor source water to determine if looming issues warrant extra attention. Following multiple health scares in recent months, California’s produce industry will be taking some new water treatment steps. Traditional processes used to remove iron and manganese from groundwater have commonly included oxidation with chlorine followed by a filter with sand or other media. 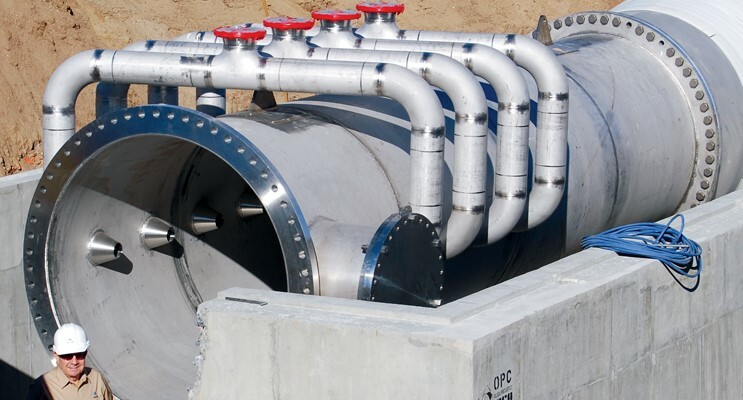 Properly evaluating each of the three turbo blower technologies — air foil bearing, magnetic bearing, and geared turbo — is key to choosing the best solution for a wastewater plant. 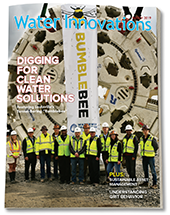 Of the many challenges faced by the wastewater treatment industry today, perhaps none are more acute than the threat of “brain drain” — the loss of institutional knowledge that comes from one generation of wastewater professionals retiring without enough of a workforce entering the field to replace it. While there are a number of potential solutions to this problem being explored, two neighboring Ohio communities believe it may all come down to wages and education. 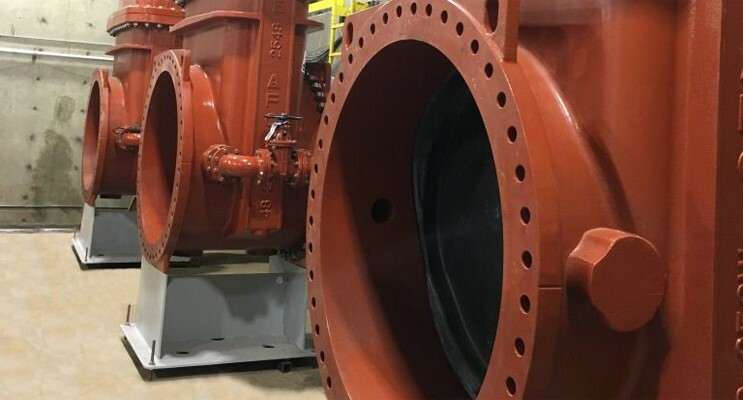 The new machines will allow larger municipal wastewater plants to use air foil bearing blower technology despite the size limitations on single units. SmartCover Systems has announced UnderCover 2 making use of advanced micro-electromechanical systems (MEMS) technology for intrusion detection and unauthorized opening of sewer manholes to combat illegal dumping, vandalism, and other security issues. MEMS technology improves the robustness of entry detection and expands the configurability of the systems at remote and hard-to-access locations for utilities, communications, nuclear facilities, border security, transportation infrastructure, military installations and others. Endress+Hauser launches its Proline Promag W 300/500. Promag W 300 is the new compact version with multiple I/Os, while the existing remote version, Promag W 500, is now available as a digital remote transmitter. The digital remote transmitter allows a maximum connecting cable length of up to 300 m (1,000 ft). Ovivo Inc. ("Ovivo"), a global provider of water and wastewater treatment equipment, technology and systems, is pleased to announce the acquisition of Westech Industrial Inc., doing business as Varec Biogas ("Varec Biogas"), a wholly-owned subsidiary of Westech Industrial Ltd. 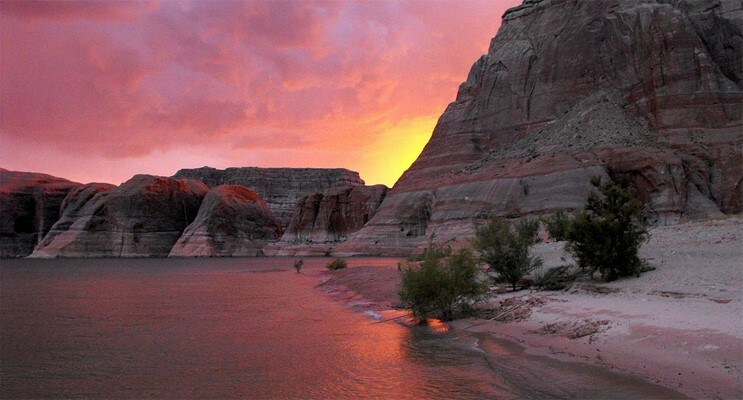 Recently, the U.S. Environmental Protection Agency (EPA) released a Request for Proposal (RFP) for the Navajo Area Abandoned Mines Response and Construction Services (AMRCS) contract. The greater Las Vegas region is now on the cutting edge of household leak detection and water monitoring technologies, thanks to a new rebate program provided by the Southern Nevada Water Authority. 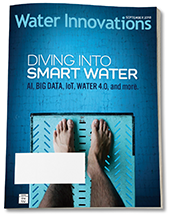 Innovyze, the global leader in water infrastructure data analytics software, has recently joined forces with SWAN, the Smart Water Networks Forum, to focus on the Digital Twin concept and its application to global water utility strategies. An international team of researchers has carried out the first systematic global review of water reallocation from rural to urban regions – the practice of transferring water from rural areas to cities to meet demand from growing urban populations. Mueller Water Products has a long history of trust and leadership in the American flow control industry spanning more than a Century. Today, more than 150 years after its founding, it remains the only full-line supplier of flow control products used in distribution systems for municipal potable water and natural gas. 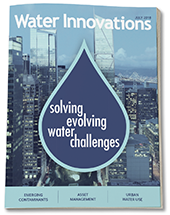 Visit the Water Intelligence Panel page. De Nora Water Technologies offers the ClorTec® On-site Hypochlorite Generating Systems, that easily produce 0.8% sodium hypochlorite by combining three common consumables: salt, water and electricity, to provide a powerful disinfection method for any application; food and beverage, potable water, wastewater, odor and corrosion control, cooling towers, oxidation and swimming pool disinfection. The BEACON® Advanced Metering Analytics (AMA) mobile solution from Badger Meter is built on a century of water metering experience. Combined with our intuitive BEACON AMA software suite, and proven ORION® communication technology, the BEACON Advanced Metering Analytics (AMA) mobile solution prepares you for the future. Over the years, Pratt has maintained a commitment to product innovation by designing water control valves that improve our clients’ processes and reduce their operation and maintenance costs. Our products are developed to meet and surpass even the most difficult specifications. Ideal Usage of High Pressure Pumps: Industrial water blasting, pipeline pigging, irrigation, standby fire protection, environmental cleanups. De Nora Water Technologies’ EST™ dry emergency scrubbers are engineered to meet national codes for the mitigation of hazardous gas releases from pressurized 150-pound cylinders and one-ton containers of chlorine, sulfur dioxide, ammonia and other toxic gases. Dry scrubbers are safe, user-friendly, low maintenance systems tested and proven for use in municipal and industrial applications where the potential exists for the accidental release of heavier-than-air hazardous gases. The JCS Industries Model 4180 All Vacuum Chemical Feeder is for operations that require high efficiency, accuracy, control and safety. The Model 4180 will feed chlorine dioxide solution used in municipal and industrial water treatment systems. 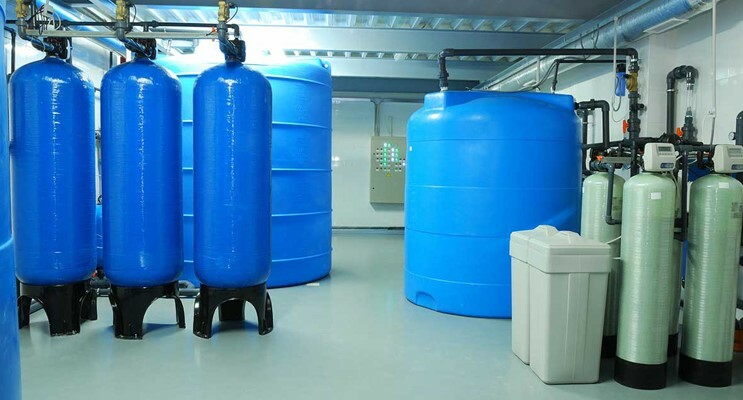 At De Nora Water Technologies we make water treatment easy. That’s why we offer a range of innovative treatment technologies used the world over, to help protect and preserve the world’s most precious resource. Learn more. Click here to view a complete listing of our premier partners. 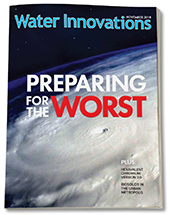 Providing expert insight into the most important topics in the water and wastewater industry. 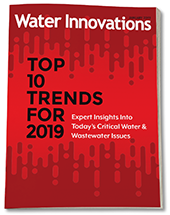 Water Online is the leading source of technical information and thought leadership for the drinking water and wastewater treatment community. If you are an operator, municipal manager, engineering consultant or industrial plant manager involved in the design or maintenance of stormwater, clean water and wastewater systems, you now have access to a comprehensive Web community delivering the latest updates on water and wastewater collection, treatment and distribution technologies to give you the knowledge to succeed in your industry. In providing this technical information, the site offers detailed coverage of the basic operational elements of the water and wastewater industry: the resource management, supply, treatment and distribution of drinking water and the collection, treatment and disposal of stormwater and wastewater. Water Online covers the many ancillary functions that are required such as: nutrient removal, contaminant removal, wastewater aeration, water instrumentation, utility management and automatic meter reading (AMR), water quality analysis, water membranes, reverse osmosis and desalination, drinking water disinfection, wastewater filtration, pumps, flow control & measurement, stormwater management and sludge conditioning and disposal. Water Online serves the information needs of engineers, water management planners, operational managers, consultants, elected officials, government personnel and others who are involved in the municipal water supply industry, and the municipal and industrial wastewater treatment field. Reflecting the dynamic and interactive character of the Web, Water Online is the most convenient source of technical, operational, product, management and regulatory information available for the water and wastewater industry.